According to Time Out, Lucy “is one of the most talented comics on the circuit.” Having had 11 Edinburgh Fringe shows and international tours, Lucy is a well-established and loved comedian. 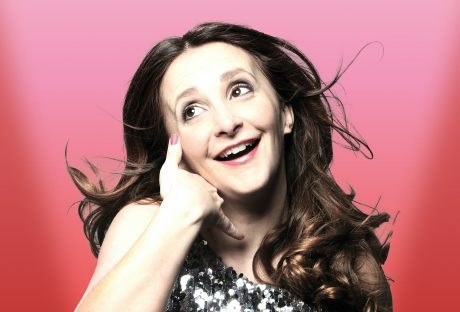 On TV, Lucy Porter has recorded a set for Live at the Apollo and has appeared as a contestant on The Chase: Celebrity Special as well as Pointless and Celebrity Mastermind. Her panel show credits also feature QI, Mock the Week, Insert Name Here, Have I Got News for You and Never Mind the Buzzcocks. Lucy is also a successful comedy writer; she wrote The Fair Intellectual Club which was first performed at the 2015 Edinburgh Fringe before being commissioned by BBC Radio 4 as a six-part drama series. She was also one of the lead writers on ITV’s satirical animation series Headcases. Following the success of her 2016 solo show Consequences, in 2018 Lucy will tour with her latest show, Chose Your Battles for which she won the Radio Forth Fringe Comedy Award. To enquire about or book Lucy Porter for your event contact Arena Entertainment. Either send an email to info@arenaentertainments.co.uk or speak to one of our booking agents on 0113-239-2222.